Whether you're into the tricks or the treats, there's plenty of fun to be had in Jacksonville this Halloween. There are plenty of events leading up to Halloween on Wednesday, October 31 as well as on the day itself. Grab your lanterns and put on your masks because you won't want to miss these Halloween events in Jacksonville! The future of beer is in your hands according to Anheuser-Busch Brewery in Jacksonville. What does this haunted hunt consist of you might ask? A mission to save the brewery by eliminating a hoard of zombies! 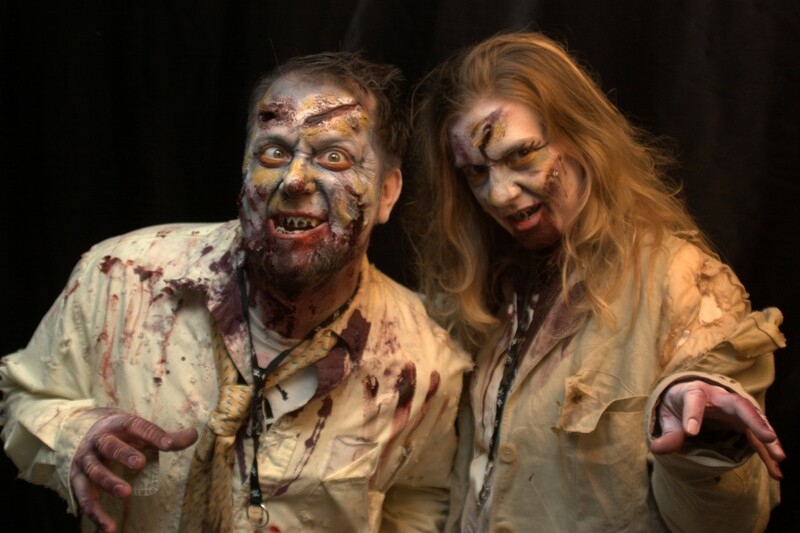 The Zombie Hunt will be held on four nights: October 19, 20, 26, and 27 from 5:30 p.m. to 11:30 p.m. Tickets are still available for all four nights and vary from $15 to $35 depending on the night. The Zombie Hunt is for those 18 and older, but there are plenty of other activities at the brewery for the whole family! Is you dying to run a 5K this Halloween? On October 19 at 5:00 p.m., you can take part in the Jacksonville Creepy Crawl 5K and Vampire Mile! Tickets purchased before October 10 for adults participating in the 5K will cost $15 and will increase to $25 before the 19. If your vampire fangs are popping out from pure excitement over this race, you'll also be pleased to know that 91% of all funds raised from this event support the Florida bleeding disorders community by funding scholarships, emergency financial assistance, and educational programs among other things. Looking for the largest Halloween Party in Jacksonville Beach? Look no further than the 11th Annual Halloween Extravaganza at the Casa Marina Hotel & Restaurant on Thursday, October 25. Tickets are still available for $10 throughout September, but then they go up to $15 in October. Tickets include two free drinks, free appetizers, and live DJs all night. If two drinks aren't enough, there are happy hour specials going on all night. Partial proceeds will go to “Real Men Wear Pink,” which supports the American Cancer Society. Just an hour outside of Jacksonville, the Suwanee Halloween runs from Friday, October 26 to Saturday, October 28 at Spirit of the Suwannee Music Park. Tory Lanez, The Revivalists, Odesza, and Janelle Monáe are just a few of the artists who will be performing at Suwanee Hulaween this year! Tickets are still available online for $269 and include all music and camping. Hotels can still be found around the area, but they are selling out quickly. The Suwanee Hulaween music festival is a once-a-year Halloween party in like no other! From taking out zombies to jamming at a music festival, you're sure to have a lot of ghoulish fun this Halloween in Jacksonville. For more Halloween events in Jacksonville, register on 904area and stay up-to-date on all things Jacksonville.